One of the best shortstops to play the game. 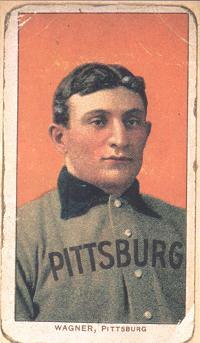 His baseball card, printed by the Piedmont Cigarette Company, is the most prized of all cards and it is the first card to sell in excess of $1M. Wagner did not give permission to print the card in the first place, so all but a few copies were destroyed.